Today we have the pleasure of featuring picture book author and illustrator Anne Sibley O'Brien, who has 36 books to her name. Attention illustrators: Be sure to enter her giveaway for a portfolio critique! Tell us how you came to write and illustrate for children. I was often writing as well as drawing. In 4th grade, making up stories about families with eight or ten or eleven children, including listing all their names and ages (not much else happened in these tales) — was one of my favorite activities after school. But though that story-making continued through high school and college, as a young person I never really thought of myself as a writer. In college I majored in Studio Art and minored in Theater. About halfway through I decided that the way I wanted to be an artist was as a children's book illustrator. The real journey began in 1978, living in western Massachusetts as a newlywed, where I had the job of setting up arts mini-courses for a community center. I organized and took a class in children's book writing and illustration, taught by the inestimable Eric Carle. During that course, I decided absolutely that I was going to become a children's book illustrator, no matter how long it took. I spent seven years practicing, attending children's book conferences, and developing and showing my portfolio. At that time you could call New York publishers, say you'd be in town in a couple weeks, and set up appointments to meet with as many art directors or editors as you could fit into your visit (things have changed!). Those in-person portfolio reviews were an invaluable continuing education in how picture books and the field worked. In 1984, one of those meetings finally turned into my first contract, to write and illustrate a set of board books with Holt. My first picture book assignment, illustrating JAMAICA'S FIND by Juanita Havill (still in print 30 years later! ), came the next year, then a second set of the board books. Nine books in two years! Then three years with nothing, until Juanita wrote another Jamaica title. It was during this time that I realized that if I was going to keep getting published, I needed to start writing so I'd have something to illustrate. That began my deep dive into learning how to write, and gradually over the years the shift to writing being valued in its own right, to the point where I'm sometimes writing more than I'm illustrating. You are known for your multicultural stories. 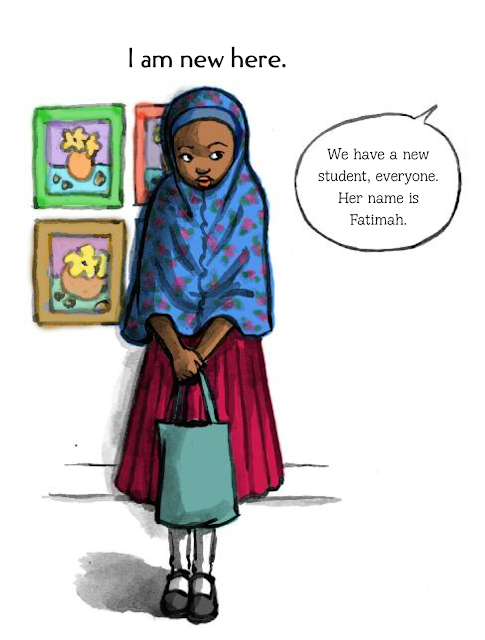 Tell us about how your background influenced you to write diverse stories. In 1960, when I was seven, my parents fulfilled their dream of being hired to serve as medical missionaries in Korea. Over 21 years, Korea was home to our family of six. Growing up bilingual and bicultural (my parents chose to move us off the mission compound and into a traditional home in the Korean community), I came to belong to people to whom I did not belong — the friends, colleagues and extended family who welcomed us and claimed us. I took a year off after high school to work on the community medical project my father was directing with Korean colleagues on a remote rural island, and returned to a Korean university for my junior year of college, both experiences of near total language and culture immersion. So when it came to developing a portfolio — filled only with people, alway my favorite subject — I couldn't have imagined drawing anything but a multiracial range of faces. 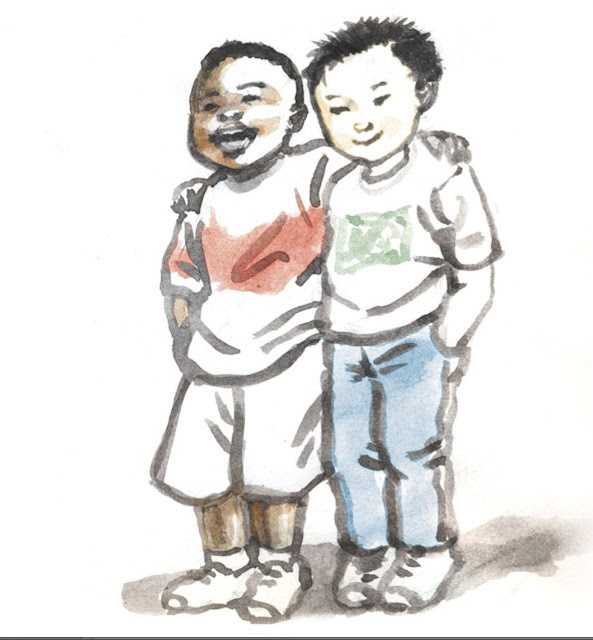 I actually had to convince my Holt editor that it made sense to make the board book series racially diverse; he got having Black characters, but not Asian ones. It was multiracial drawings of children that caught the eye of art director Susan Sherman who saw my portfolio at a conference, said "I'll be looking for something for you," and two years later picked me to bring Jamaica to life. With every book I create about diverse children and cultures, I do extensive research, then show my work in various stages to people who belong to the groups portrayed so they can point out what I'm missing, what I can't see. Are you mainly an illustrator, author, or both? How do you decide whether to write and illustrate your own stories, or illustrate other people's stories? Definitely both an illustrator and a writer, and rather than me deciding, it seems to be more that each project decides for me. In April 2014 my first grandchild was born and one result was a new track opening in my brain: I got 10 new ideas for picture books that month! One of them, ABRACADABRA, IT'S SPRING! came out fast and sold fast. I always just knew it wasn't mine to illustrate. I had the joy of watching the book, and its companion, HOCUS POCUS, IT'S FALL!, come to life through the exquisite work of illustrator Susan Gal. I'd love to be gifted with more stories that other people will illustrate. I also have a number of picture book ideas in development these days — most of them from that April inspiration — that I'm not clear whether I'll illustrate or not. I'm playing with visuals to see what happens, open to the possibility that their best expression might be with pictures by someone else. I have one story, a humorous adventure called FUSSY BABY SAVES THE WORLD, that I thought at first I wouldn't illustrate. But I attended an SCBWI workshop in which we made many rapid sketches as a way to uncover stories, and the character just appeared. So now I'm considering that maybe the story does want to be drawn by me. I just finished my first novel, IN THE SHADOW OF THE SUN, a political escape thriller set in North Korea for ages 10 and up, coming out in July 2017 from Arthur Levine/Scholastic. It's so exciting to be stepping into a complete new territory of the land of children's books. I have quite a number of ideas for next novels, but I need to pause first, get quiet and collect myself before I plunge into something that big. What is a common mistake you see among beginning illustrators? I think I'd call it attachment. As a just-getting-started illustrator, I visited Eric Carle at his home to show him the portfolio I'd developed after I took his class. I had everything in there, on a wide variety of media — quick sketches, some nudes from college, some cutesy fairies, realistic drawings of children that showed signs of the work I'd go on to do. Eric observed that I needed to develop the discernment to know what worked and what didn't. I didn't yet have the ability or the breadth of knowledge and experience to stand back from my work and observe it dispassionately, evaluating it based on what was viable for the children's book field. Too often, beginning illustrators become too invested in a single book idea or two. They're so focused on the individual trees that they can't see the forest. They develop the images, get critiques, work on them some more, looking for the magic approach that will make this particular book work. In fact, they may be pouring time and energy into a project that's just not strong enough, when they'd be better served by experimenting with multiple ideas instead of forcing one. Especially when you're deeply attached, try to cultivate the skill of distancing yourself from your work and seeing it as a product. Imagine a completely different approach, then another. Be loose and flexible and irreverent with the idea. Play with it, trying to push yourself past what's comfortable, what you think is possible. It could lead you into something far more exciting and viable than your original idea. Continuing in this thread from (5), I'd counsel myself to be far less satisfied with the first images I produced and far more committed to stretching. For my most recent illustration project, I did the final line and wash paintings over and over again. Until I hit my stride, I did each illustration at least a dozen times. Then in October I heard Brian Pinkney talk about his latest book, ON THE BALL. At first he thought it would be a graphic novel; it ended up as a picture book. In the process, he created more than 1500 images. 1500! It reminded me to push way harder and farther, engaged in the process of discovery. Rather than settling for satisfactory, reach for amazing. Also, I'd encourage myself to search for more iconic, less particular images. At age 20, I performed one weekend as a go-go dancer for an American rock band, dancing barefoot onstage in a white mini dress with long fringe from the shoulders, my hair waist-length, in front of hundreds of screaming Korean high school students at the National Theater in downtown Seoul! Also I really love adventures that take me off well-trodden paths to encounter everyday people and their places. Especially when something unexpected — even what seems like a crisis — results in discoveries that never would've happened if something hadn't gone "wrong." Many of my most memorable travel experiences have that characteristic, that gift of surprise. 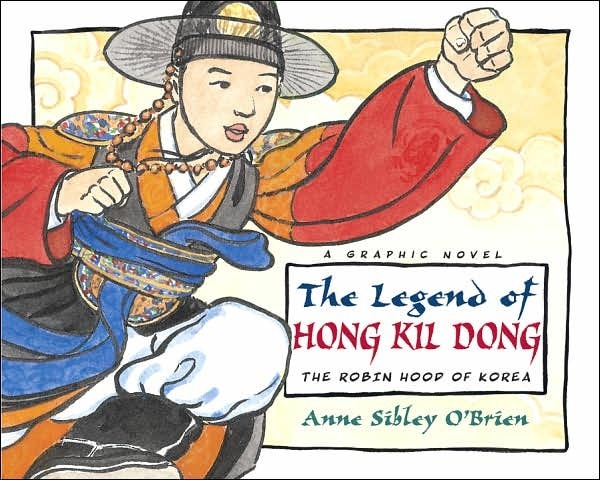 Author-illustrator Anne Sibley O’Brien (www.AnneSibleyOBrien.com) has published thirty-five books, receiving the Africana Book Award, the Global Korea Award, two Asian/Pacific American Awards for Literature, and the Katahdin Award for lifetime achievement from the Maine Library Association. 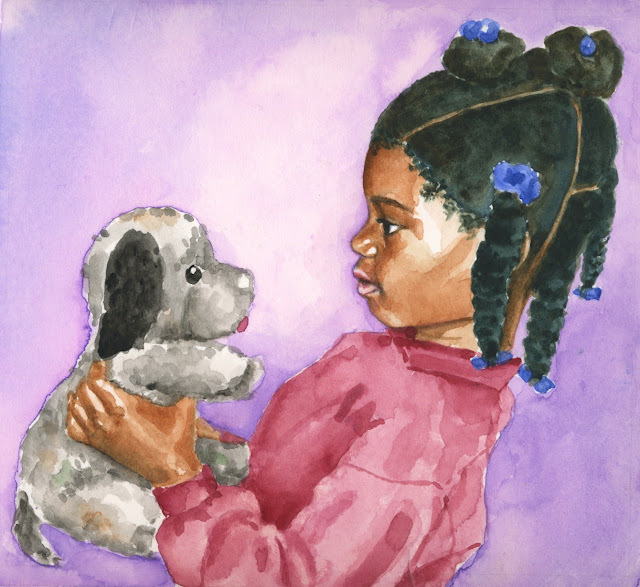 She writes the column, "The Illustrator's Perspective," for the SCBWI Bulletin and blogs about race, culture and children’s books at www.ColoringBetweenTheLines.com. Even though I've heard some of Anne's backstory at a workshop, I love reading it again! I am going to copy down her advice and commit it to memory. So helpful! Thank you for the giveaway, too! Love reading all about you! You are an inspiration!! Great insight! Can;t wait to apply this to my own portfolio and mindset! I love this information...and Eric Carle!! Can't get much better than that! Thank you for sharing your story and for all the positive encouragement. The advice to get rid of your darlings is always a good one. I've become too invested in one book dummy lately that I'm nearly ready to give up everything entirely. Thank you for sharing! Timely post for me. I, too, decided to try writing in order to have something to illustrate, and that's been my off & on focus for a number of years, where now I'm returning to my first love--drawing. Great interview! Loved reading all about you. Love the interview, you are a great inspiration! Wonderful interview. Wishing Anne continued success.